The Safe Childhood Project was launched on 11th September 2017 by the British Deputy High Commission, Hyderabad collaborating with Tharuni organisation.They have adopted 10 Schools mostly in the old city of Hyderabad, where the safety of the school children is at stake.. The Project was launched at The Rising Star National High School, Motidarwaza, Golconda, Hyderabad from 11 A.M to 1 P.M.
Mr. Andrew Flemming, Deputy High Commissioner was the Chief Guest to inaugurate the Project.Mrs. Nalini Raghuram Programme Officer BDHC,Dr. 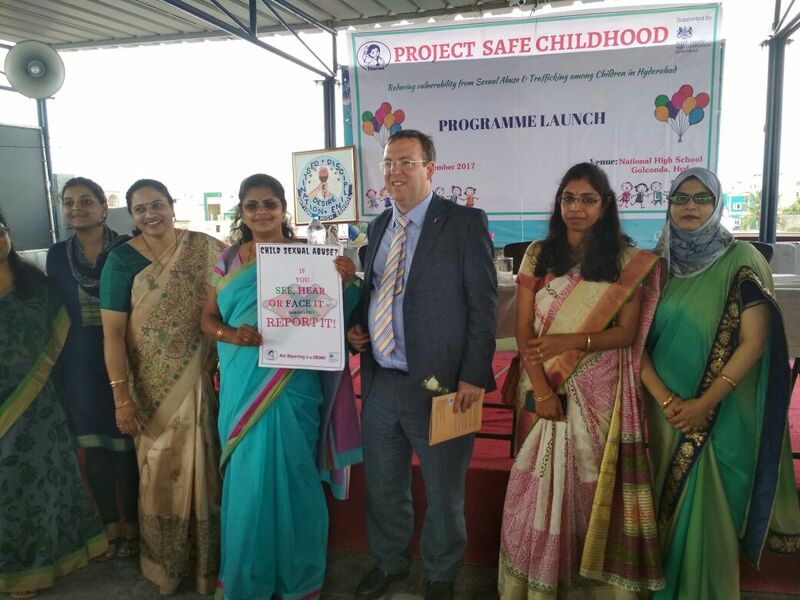 Mamatha Achanta Founder, Tharuni, and the School Principal were the Guests of honour, to grace the occasion. 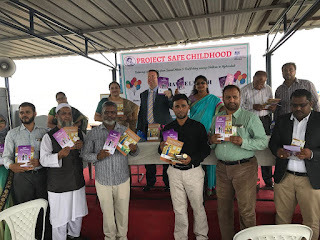 They all spoke on the importance of Safe Childhood ,as the primary duty of the Schools and the Parents and the Society at large.The brochures and pamphlets on the safe childhood, Child sexual abuse and how to watch, support and report about it , were released. The Teaching Staff and the School Children have participated in the program.